As I write, a new semester is staring me in the face, threatening to send me into apoplectic shock at any moment if I don’t start churning out syllabi and lecture notes at warp speed. So, why did I just spend an entire day doing absolutely nothing to avoid this catastrophic demise? I was in the grip of my latest Amazon.com postal bundle: Barbara Brown Taylor’s absorbing narrative, Leaving Church: A Memoir of Faith. 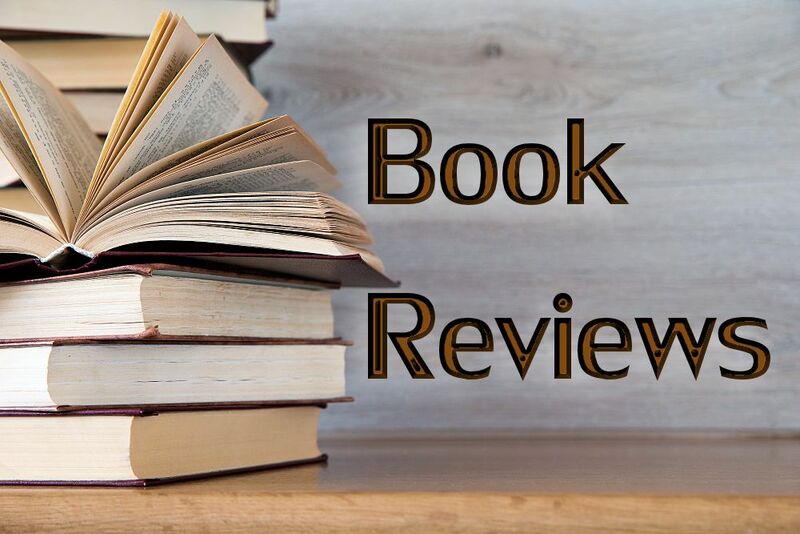 A courageous account, Taylor’s descriptive writing will reward most anyone with a renewed wonder of God’s creation and a transforming desire to relish life. The ambiguous title delivers Taylor’s intent: a distinction between faith and religion, a vocational crisis, not a buckling of faith. Through a series of surprises and unexpected turns, Taylor finds herself no longer serving as a parish priest. Rather, the reality of God’s call to be fully human, a call she believes we all share, is too encompassing to be contained in clerical collars and ecclesial polity. Some twenty years after her ordination in the Episcopal Church, she currently is a priest who ministers in the context of a college classroom and is not so disillusioned by the church that she can walk away, inclined to resist all ecclesial structure. She loves God and, as it turns out, loves the church, too. At least enough to hold out hope. A deep awareness of Divine Presence during her childhood, especially in the midst of nature, formed the foundation for Taylor’s later faith and ministry. Not raised in the church, she did not have the language of faith that church structure provides, but she apparently did have deeply-felt and deeply-moving experiences of God. These are especially acute when she explores the natural world around her. A religion major in college, she continued to feed her curiosity about God, an interest propelling her to seminary. Eventually she was ordained in the Episcopal Church, drawn, she said, not by the beliefs particularly, but by the opportunity to behold others, to spread the love of God. After serving a large urban church in Atlanta, Georgia, for nine years and a rural church in Clarkesville, Georgia, for five, where despite congregational growth she felt “compassion fatigue,” Taylor made the painful but necessary decision to leave church. Still, hers is not a diatribe against a particular church nor her Episcopal denomination. Rather, Taylor produces a narrative teeming with life, vibrant in its reassurance of trusting God, steadfast in its praise of creation and Creator. Lessons abound for the faithful and the faint of heart: practice Sabbath, be compassionate—very compassionate, realize that following Jesus is not easy and that none of us can do it very well, trust God with an awe of the many mysteries certainty can never deliver, and be aware of the Divine Presence infused in nature all around us. If there is one puzzling omission in Taylor’s memoir, it is about her popularity, how widely-known she has become for her preaching and writing. Surely this public life that is now hers has affected her faith and ministry. In fact, this is the one place in the book where it is difficult to identify with Taylor’s vocational switch. To have the luxury of a teaching appointment thrust at one, to have a safety net nicely in place, seems to put Taylor in a different category from most of us. Still, Barbara Brown Taylor’s wise narrative is a helpful addition to other recent faith-filled memoirs: Karen Armstrong’s The Spiral Staircase, Joan Chittister’s Called to Question, and Anne Lamott’sPlan B. Each of these are engaging narratives, replete with intelligent insight and witty humor. Taylor’s unique contribution is her encouragement to bask in the liberating presence of the Spirit, trusting God to lead—even to Clarkesville, even from the center to the periphery. Kendra Weddle is Assistant Professor of Religious Studies at George Fox University in Newberg, Oregon. Her first book, Preaching on the Plains, a study of Methodist women preachers in Kansas, was published this year by the University Press of America. She is currently working on a second manuscript that includes a biography of M. Madeline Southard as well as several edited volumes of Southard’s journals. Readers of Christian Feminism Today will remember Kendra’s earlier article, “The Alien among Us: Woman as Prophet” in the spring, 2006 issue. A response by Mary Jo Cartledgehayes. First, let me clear up a misconception created by the title of Barbara Brown Taylor’s 2006 literary memoir Leaving Church. Taylor has not left the Episcopal Church, nor has she left the ordained ministry. In 2007, she remains a priest in good standing. The difference now is that rather than practicing the ministerial office as the leader of a congregation, she does so as an educator, teaching classes in religion at Piedmont College and in Christian spirituality at Columbia Presbyterian Seminary. Why, then, the title of the book? And what’s the big deal about a woman’s leaving parish ministry anyhow? To answer the second question first, it’s a big deal when the only woman named on the Baylor University list of the best preachers in America steps down from the pulpit. It’s an even bigger deal if you were hanging around a divinity school in the mid-1990s (as I was) and heard the awe and admiration in the voices of preaching professionals when they spoke of her. Scuttlebutt had it that Taylor was offered positions in various homiletics departments but turned them all down because she felt called to what United Methodists call parish ministry. Even more remarkable to the speakers was the fact that she chose as her parish a small congregation in an even smaller church building in northeast Georgia, rather than a high-steeple church in a major city. It’s a big deal when that person chooses to leave parish ministry and then goes on to write an elegy, aching with sorrow, about her departure. I was introduced to Taylor’s sermons in 1993 in my first preaching class at Duke University’s divinity school. Ever since, I’ve admired her extraordinarily thorough exegesis, her brilliant mind and diction, her wisdom, and her elegance. Underlying these qualities are other strengths that hallow both her work and her listeners: a seemingly boundless joy in the gospel message and an astonishing power in her presentation. I will never forget hearing Taylor preach to a small group of academics in Duke Chapel in 1994 or thereabouts. The word Yahweh made an appearance late in the sermon. As she drew out the first syllable—Yaaaaah—the breath from her mouth became the wind of the Spirit, a cyclone twirling down the center aisle of that stone-cold edifice, and as she breathed the second syllable—Weeeeeeh—the cyclone turned on itself and tumbled back up the aisle, unseen leaves and twigs rustling in its wake. Because of that moment, when I was pastoring I often turned to Taylor’s sermons when I needed to be reminded that, even in ordinary time, preachers are about the work of the holy. 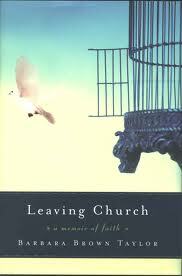 Here is the great dichotomy within Leaving Church. Taylor had every reason to continue in parish ministry. She didn’t lose her faith. She didn’t suffer burnout in the usual way that is defined. She didn’t reject the Episcopal Church as an institution. She only had one problem, but it was the kind that trumps everything else: She couldn’t stop crying. She lived a life some people can’t even dream of—a happy marriage, a house in the country with chickens to feed and horses to brush, sufficient income, a meaningful job—and the only flies in her soup were her constant, no-evident-reason-for-them tears. Such great grief … Where did it come from? What was it about? Certainly, it was not the result of poor self-care. Unlike every other pastor I know, Taylor learned, most likely in her year-long residency in Clinical Pastor Education (CPE), that self-care is essential, and she acted upon the knowledge. She availed herself each month of the services of a pastoral counselor. She belonged to three clergy groups, in one of which, she says, people were actually honest. She was one of the religious leaders who reintroduced the concept of Sabbath, the nearly heretical idea that clergy need a day set apart for rest, rather than the more usual “day off” spent in sermon preparation. Perhaps sabbaticals are more often taken among Episcopalian clergy than among United Methodists, but she’s the only pastor I know who actually took recommended sabbaticals in order to read, travel, write, and be refreshed. Taylor did everything right. What, then, went wrong? And is wrong even the right word? If the sorrow that accompanied her departure weren’t evident on every page of Leaving Church, then we could pretend that it was okay, her leaving; that in the great tide of Christendom it doesn’t mean anything; that pastors come and go for reasons both outward and visible and inward and spiritual; that it doesn’t really matter. And yet Taylor’s book doesn’t allow for the easy surcease of “so what?” She speaks too forthrightly about feeling defeated and bitter. She—in spite of her evident commitment to self care—reveals that she thought being faithful meant “ignoring my own needs and [the needs] of my family.” She remarks upon the “toxic effect of being identified as the holiest person in the room.” Above all, she offers a truth that we’d rather not hear: that doing everything right was destroying her. It is difficult to describe how important Taylor’s pulpit ministry has been in my own life. I, who myself resigned from the ordained ministry in the United Methodist Church in February, 2006, found myself feeling bereft at the thought that she is no longer preaching each Sunday. If she could not remain in the pulpit, I thought, what about the rest of us? And what a confusing question, given that I had already opted out of the rest of us due to my denomination’s refutation of its historic commitment to inclusivity. Adding to my confusion over Taylor’s departure, I was not only bereft but deeply annoyed each of the three times I read her book. I wanted to be reading about that other Barbara Brown Taylor, the perennially joyful one in my imagination, rather than the flesh-and-blood woman she presents herself as in Leaving Church. I’m less content with this woman. I didn’t want to know about the incredible radiance on her husband’s face after he participated in a native American healing ceremony, her thrill in his changed demeanor tempered by fear that her congregation would get wind of his quintessentially non-Episcopalian worship experience. I prefer love to be easier, and free of competing trajectories, in her life, if not in my own. But that’s not the real issue. It’s taken me months to understand that perhaps I and others who admire her may be responsible for her decision. While Taylor takes unflinching responsibility for her departure (even when quoting a snide and unfathomable statement from a congregant about her “building an empire”), I think her leaving had to do with our salvation as much as her own. 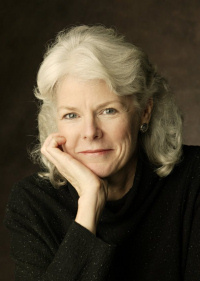 Since the first time I read one of Barbara Brown Taylor’s sermons, a little piece of my soul, about the size of a chipmunk, has lived on the verge of groveling at her feet. Her sermons give me access to the holiest of holies within the errata of my life. In response—and, I must add, through no fault of hers—I balance on the cusp of offering her, if not oblations, then at least devotion. Like an adolescent who thinks life inviolably improved if he or she can wrest an autograph from Britney Spears, I am closer to salvation—can smell it, can almost taste it—as long as Taylor is out there preaching somewhere. Perhaps my feeling of near-adoration, which I’ve seen reflected on other faces, is the source of Taylor’s tears and an underlying reason for God’s leading her away from the ministerial tasks she loved so well. If you are a faithful person, and Taylor assuredly is, the idea of somebody groveling at your feet must be an anathema. And she’s too savvy to have missed the evidence, the trusting, startled faces turned toward her when she preaches; the respectful tones of her colleagues; their unstinting admiration. She says that she had to leave in order to find out what it is to be human. What she doesn’t say is that she may have been alone in wanting such a thing for herself. The rest of us are like methadone addicts craving a fix, with God as our drug and Taylor as our dealer. When she pointed to God, we admired her graceful fingers. When she unleashed the wind of the Spirit, we stayed sheltered in the pews and let her take the buffeting when it returned. She ushered us down the path of righteousness for Jesus’ name’s sake, and we hurried to catch up because we wanted to be nearer to her rather than to God. Perhaps I exaggerate. Perhaps I’m like an Elvis fan standing outside the gates of Graceland on the anniversary of his death. Perhaps the sea of adoring faces never sent shivers down her spine. In any case, I find Taylor’s book to be, above all, courageous. Her essential claim, the heart of the book, is that we—all of us, including her—get to be (are called to be, God wants us to be) who we are; that we are permitted (required, empowered) to live and love authentically; and that a reputation for exceptional goodness has nothing to do with the life of faith. If you haven’t been in the pulpit, I’m not sure you can comprehend the joy that comes with preaching. Preaching, and the ordained status in which the authority for preaching rests in Taylor’s tradition and mine, is a complicated, enriching, stultifying, expansive, maddening, miserable, glorious way to live. There is the intrigue of research, the enchantment of writing, the pressure of presentation, and the responsibility that would be onerous if you didn’t know yourself as part of a triumvirate, with God and the congregation able to make of your words what they will. If you haven’t been in the pulpit, I’m not sure you can understand the grief that accompanies leaving it. It’s been nearly six years since I preached, and I still mourn the challenge and the sweaty palms that morphed into serenity when I took that first long breath on a Sunday morning and, with the first word of my sermon, gave over control of the event to God. That time of preaching is over for me and, perhaps, for Taylor. We, like many others in this generation of preachers, are left to limp into the future, a bit bloodied and yet daring to trust that this new path, too, is one of faithfulness. Mary Jo Cartledgehayes lives, writes, and loves in Kentucky, where she was recently named the newest member of the Louisville Craft Mafia. A review essay about her book, Grace, was published in our Winter 2003 issue and on eewc.com. Reading Barbara Brown Taylor’s Leaving Church: A Memoir of Faith was, for me, a series of “ah-ha’s” and “me, too’s.” From early experiences of wonder at creation and love for God to talking my pastor into a re-baptism at 16; from entering seminary totally in love with God (“Where else would I go?” Taylor writes) to a joyful discovery of Native American spirituality; from the attainment of the dream of ordination to the midlife disillusionment with the organization of “church”; from the joy of belonging to the awareness that I no longer fit well, I felt a keen identification with Taylor as a sister journeyer of faith. I like the style of spiritual memoir writing, hearing truth and experiencing companionship in another’s story— although I can also hear faith and struggle even in a more straightforward theology. Many ordained and non-ordained people have found themselves in the same place as Barbara Brown Taylor, finding the gap between their own faith journey and the proscribed faith of particular churches so wide as to be uncomfortable. They have “left church” in the sense of not having a regular place of attendance; while at the same time not really leaving church, as in faith in God and a love for the people of God. There are whole networks of folks who feel disenfranchised from “church” as it is today, who yet still hold deep devotion to God and convictions of Christian faith, who long for community, and are creating ways to find each other and be together. Probably a good many readers of Christian Feminism Today find themselves in such a position. As Taylor says, “I may have left the house, but I have not left the relationship. After twenty years of serving Mother Church at the altar, I have pitched my tent in the yard….”(222). The memoir traces Taylor’s relationship with God and the church from the childhood that led her to the ministry to her joys and struggles in fulfilling her calling. Although she had thrived as an Associate Pastor in an urban setting, Taylor yearned to serve in a particular rural church where her creative spirit and outstanding preaching gained her renown far beyond her small community. But she describes a gradual burning out as she loses herself in the day-to-day work of this solo ministry, responding to needs that truly never quit, and not finding a way to feed her own soul. This crisis leads her to say goodbye to a parish that initially seemed her perfect ideal, and move to teaching. And so the Spirit moves. Taylor is not alone in her struggle with the demands and ardors of solo pastoral ministry, in her feeling of isolation from collegial support and in her search for inner sustenance, while giving out to others day after day. Nor is she alone in her feeling that she has moved out of the main current of “church” and is somehow on the fringe. In my favorite chapter in the book, the last one, “Keeping,” Taylor summarizes what this shift or growth means. She writes, “For most of my adult life, what I have wanted most to win is nearness to God” (218). I echo that, although without the opening phrase, because that has been the desire of my heart for all the life I remember. Like Taylor, I assumed that meant I was called to ordained ministry, and then was shocked to discover that serving God’s church as a clergy was not the spiritual be-all and end-all of my search. The longing and search are not satisfied by the vocation. However, the lessons of the vocation can and do lead on down the road of faith, as the Spirit of God uses the” stuff” of our lives to teach and lead into a fuller humanity. As Taylor learns in her struggle, “You have everything you need to be human.” She talks of “feeling her way into faith” after her father’s death, as opposed to religious certainties, and she values the companionship of those who have undertaken the same journey. She realizes how much she owes to the traditions of the church, and says, “We would not be who we are without them, and we continue to draw real sustenance from them, but insofar as these same traditions discourage us from being with one another, we cannot go home again” (225). She ends with expressing hope that the Spirit who has led thus far will also lead us into a new way of being church together. Perhaps an answer is learning to separate the work of ministry from our personal journey of faith—a difficult task because they are also intertwined. Surely someone along the line must have explained this difference to me, although I obviously didn’t get it nor remember it. Perhaps not all clergy feel the same disconnect; perhaps for some of us the pilgrim/seeker/journeyer metaphor is dominant, and for others it is not. Perhaps women clergy have talked and written more about it as we now have begun to have women who have spent years in the ministry. Perhaps I just never read the right books, or wasn’t at the place where I could receive their wisdom. Whatever the reason, I had a real struggle realizing that the church wasn’t heaven and its people were still growing into the sainthood that Scripture credits us with. I’m ready to see that new way of being church together that Taylor hopes for. The church provoked and nurtured me through years of my own faith journey, and still does the same for others. That level of church and ministering still speak to many, and are not trite. Perhaps letting go of trying to get my own needs satisfied by the church can actually free me to go back and consciously minister like I never did as a younger woman. Perhaps it’s not so much about my own needs being met at church (I can find other ways) as it as about being there for one another in community and enjoying the ritual of worship and the dance of relationships. Becky Kiser is an ordained minister in the Presbyterian Church, USA. She lives in Myrtle Beach, South Carolina, and presently serves in an “at large” ministry.